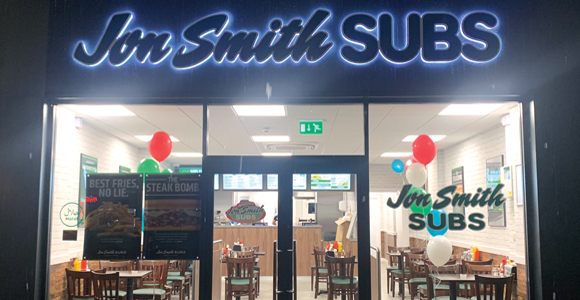 Jon Smith Subs, the U.S. sandwich chain has landed in the UK after securing a six-figure finance facility from HSBC UK to open its first outlet in Hammersmith, West London. Omar Al-Magribi, the franchisee, has used the HSBC funding to renovate and fit-out the restaurant, including kitchen equipment and shop interior. The sandwich brand is known for its fresh-off-the-grill marinated grilled sirloin steak and chicken breast subs and large portion sizes. Omar Al-Magribi said: “We were incredibly excited to have opened the first Jon Smith Subs in the UK and the response to our London restaurant has been overwhelming. Its instant success has meant we’re already planning our second restaurant, which we hope to open soon in Bournemouth where my family is based.